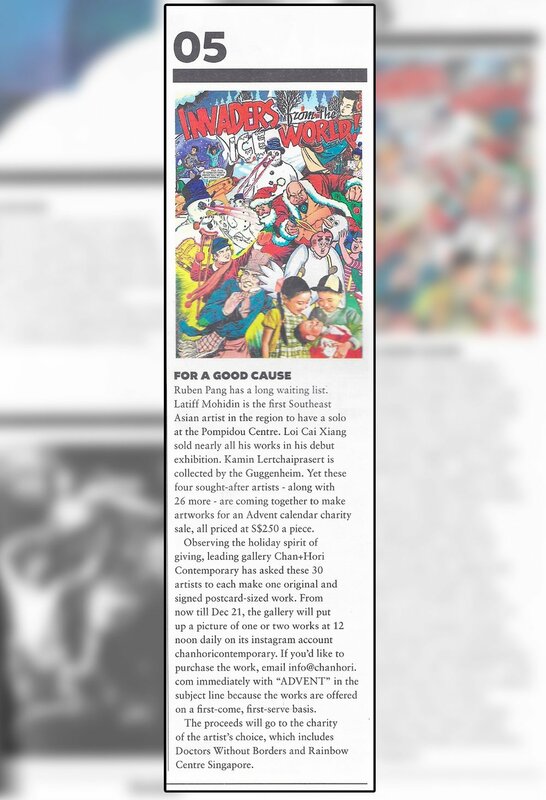 Chan + Hori Contemporary is featured as Number 24 on the list of “25 Best Things to Do in Singapore” on VacationIdea. VacationIdea is a Dream Vacation Magazine named “Best of Web” by Forbes for nine years. Ruben Pang has a long waiting list. Latiff Mohidin is the first Southeast Asian artist in the region to have a solo at the Pompidou Centre. Loi Cai Xiang sold nearly all his works in his debut exhibition. Kamin Lertchaiprasert is collected by the Guggenheim. 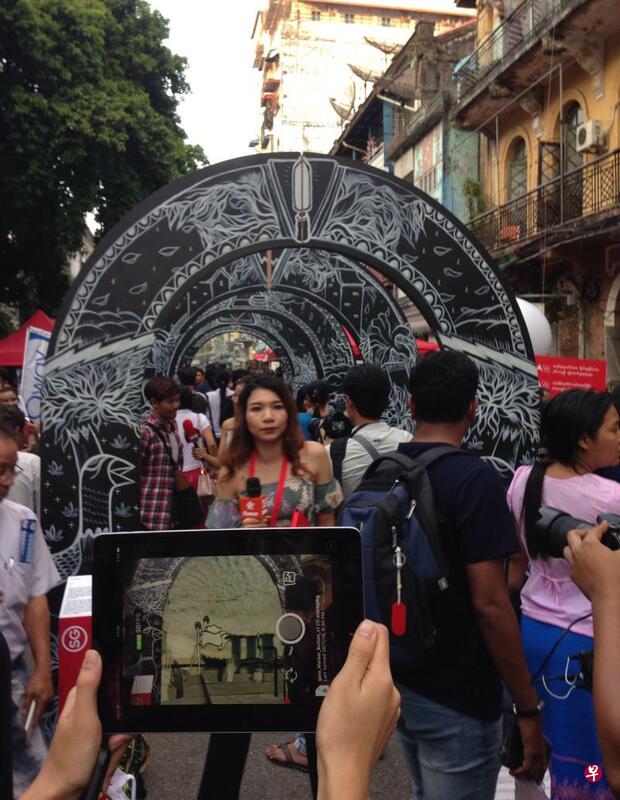 The Singapore Tourism Board will start tonight on December 2nd, in cooperation with Doh Eain, a social enterprise that activates the urban community in Yangon, Myanmar, to close the Bogalay Zay street in the city centre and hold the 2018 Singapore Festival key project. Inspired by the Burmese Street Festival, the Singapore Festival launched the “500 Myanmar Burmese Food Festival” for the first time. There are 20 stalls that match the similar street foods in Singapore and Myanmar, attracting many people to taste, and the crowd is lively and lively. . Singapore’s Michelin star hawker Chen Hanming’s “Where the Hong Kong Oil Chicken Rice Noodle” booth has been lined up with special talents. Atypical is defined as “different from all others of the same type” according to the Cambridge Advanced Learner's Dictionary & Thesaurus. 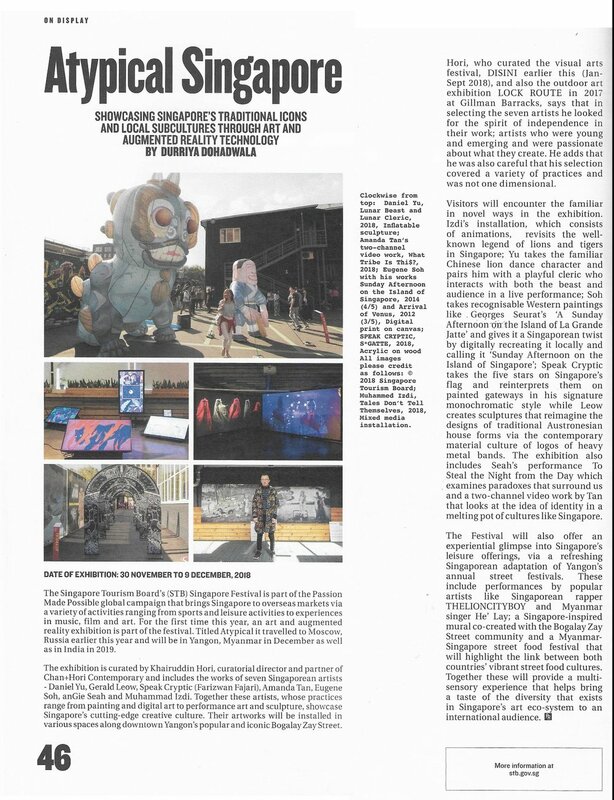 So with this description as a touchstone, the Singapore Tourism Board has launched Atypical Singapore, an art and augmented reality technology showcase that brings a slice of Singapore’s artistic facet into the streets of select cities. 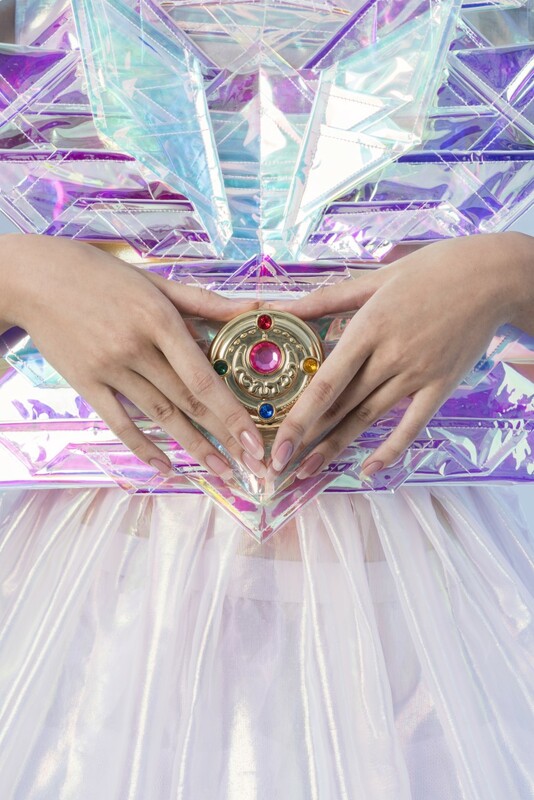 Part of the Passion Made Possible global campaign, Atypical Singapore presents seven contemporary artists from different specialisations whose exhibits connect with viewers through multi-sensory art experiences, participation and dialogue. Singapore Festival 2018, Myanmar runs 30 November to 9 December with Atypical Singapore activities happening 30 November to 2 December. Over the past few years residents and regular visitors to Yangon have witnessed the slow but steady transformation of some of the city’s back alleys from dingy, rubbish-strewn and mosquito-infested spaces, into vibrant children’s playgrounds and photo locations for adults. Closed and dirty parks have also been transformed into recreational places for both the young and the old alike. Thanks to the Yangon regional government’s openness to cooperating with international and local non-government organisations, the city is slowly becoming a hive of activity for both local and international events, once again becoming a fun city it used to be as. As part of the global campaign, Passion Made Possible, Singapore Tourism Board (STB) and Chan + Hori Contemporary have collaborated to launch the showcase Atypical Singapore. The Singapore Tourism Board (STB) has kicked off the second wave of its Passion Made Possible campaign with a greater emphasis on co-creation with local talents. Since taking off last year, the campaign has been launched in 20 markets through marketing activities and industry partnerships. Over the next few months, STB will roll out brand activations in at least 16 overseas markets. In the campaign’s second wave, STB is introducing three new passion tribes – namely Culture Shaper, Socialiser and Action Seeker – adding to Foodie, Collector, Explorer and Progressor introduced last year. 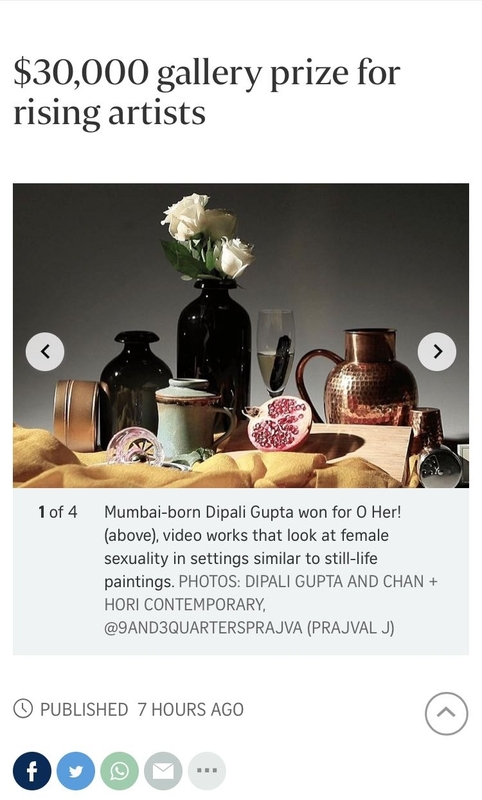 Singapore-based visual artists Dipali Gupta and Gemma Kearney have won the fourth edition of the annual Chan-Davies prize, worth $30,000. The prize is given by Chan + Hori Contemporary gallery to two graduating artists from Lasalle College of the Arts. Each winner receives $15,000 in cash and an exhibition at the Gillman Barracks gallery, which runs from Saturday to Aug 19. 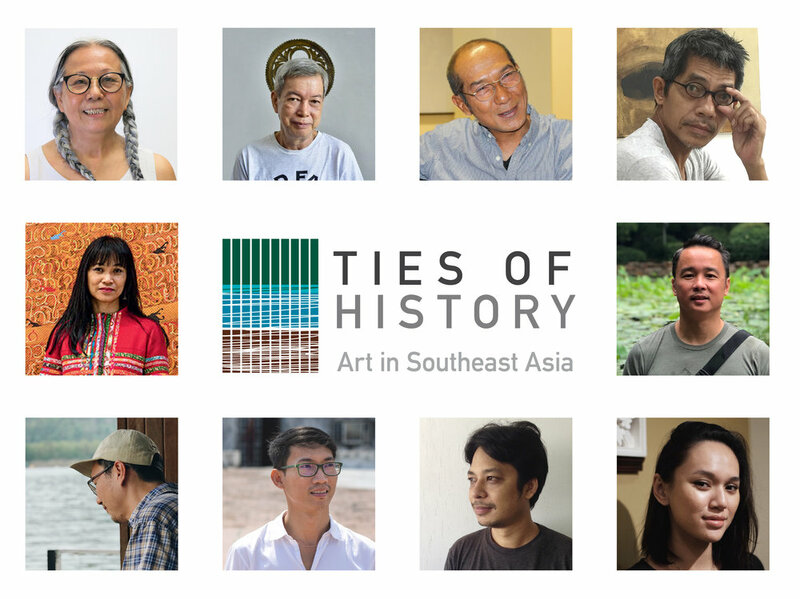 Chris Chong Chan Fui, Ties of History: Art in Southeast Asia. 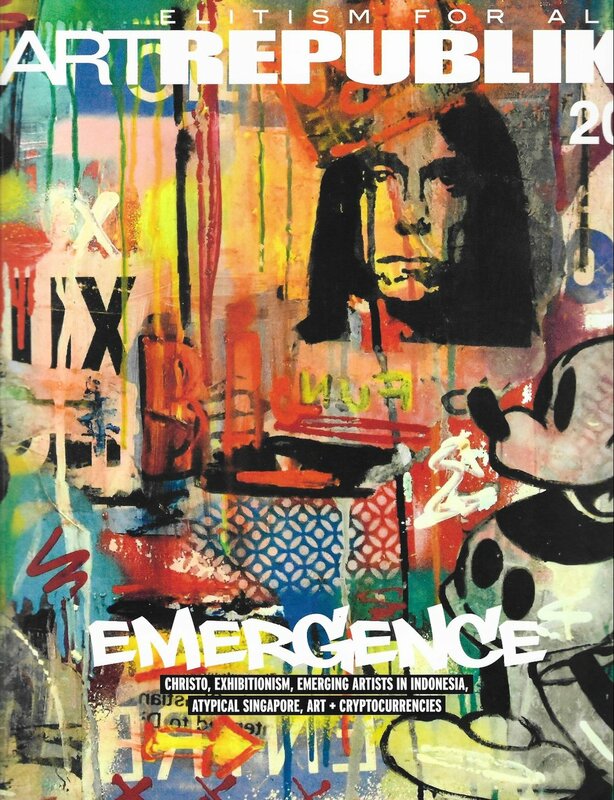 As the Association of Southeast Asian Nations (ASEAN) concludes the commemoration of its 50th anniversary, the Philippines marks the historic occasion by hosting a contemporary art exhibition featuring ten artists who will represent each ASEAN member state. The exhibit entitled, Ties of History: Art in Southeast Asia, is curated by noted art historian, scholar, and curator Patrick D. Flores. It will be held simultaneously in three major art institutions in the Philippines: the Metropolitan Museum of Manila (MET Manila), the University of the Philippines Vargas Museum, and the Yuchengco Museum. 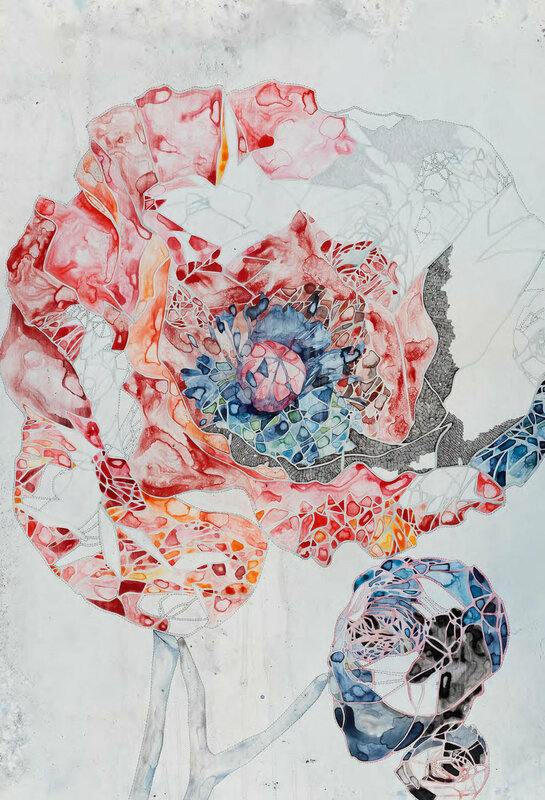 It will be on view from August 10 to October 6, 2018. As with any thought-provoking installation, Latiff Mohidin’s “Langkawi” series, on show at Chan+ Hori Contemporary, evokes a large range of perceptions from its audience. A cursory survey of his arca dinding will bring to mind many different things for different people. Since the publication of "Pago-Pago" (1964-1969) and "Heartscape" (1973-1974) series, he has made a name for himself in the Malaysian art world. The painter Latiff Mohidin has been using the Langkawi series for a few years. 1976-1980) set off again.